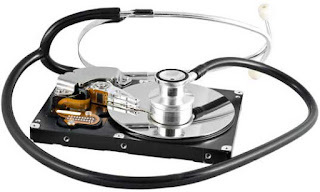 How To Check Hard Disk Health on Windows - Hard disk or better known as HDD (hard disk drive) is a computer component that serves to store and process data by rotating discs. 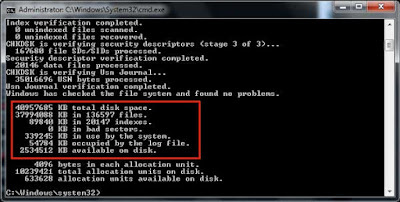 Hard disk is main computer component because without it the computer will not be able to work. So, the hard disk should be in excellent performance. 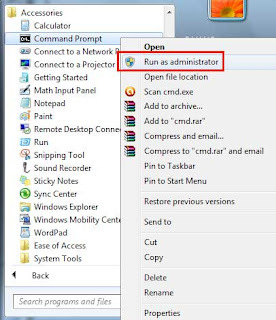 If you feel symptoms of damage such as computer slowing down, blue screen, corrupt files, and even strange noises from the hard disk, you should check the condition of the hard disk as soon as possible. There is a simple way to determine the health condition of the hard disk, by using a command prompt (CMD) on the computer. 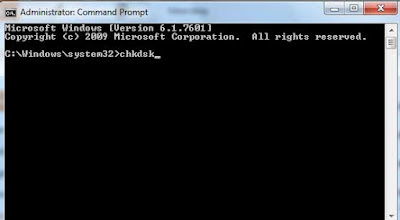 If you want to check the hard disk to another partition, type CHKDSK DRIVE PARTITION, Example CHKDSK D. By knowing the problems in the hard disk, of course we can fix it immediately. 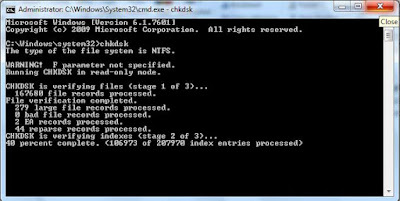 Or if no problems found, should first backup your hard disk data to the other storage media. I hope this short article can solve your problem to determine the condition of your computer hard drive. If you find this article helpful, please share it with your friends that they also can feel the benefits.